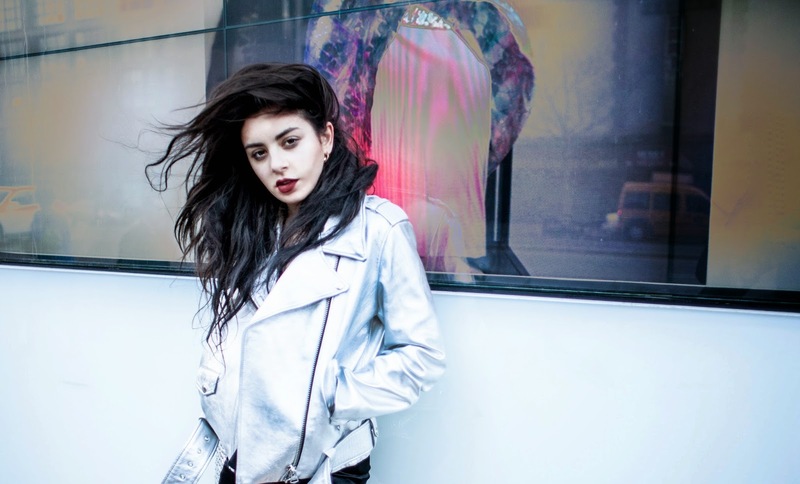 Charlotte Emma Aitchison or better known as Charli XCX, the rising star behind Billboard’s chart topping hits “Boom Clap” and “Fancy”, has recently gotten a whole lot of attention from the music industry. Born in Cambridge, Cambridgeshire to a Scottish father and an Indian mother, Charli began writing her own songs at the tender age of 14. The 22-year-old singer first found fame through Icona Pop's breakthrough hit, "I Love It" which she co-wrote as well as featured in. The song placed No. 1 on the U.K. Singles chart. If you didn’t realise her then, Charli returned to the scene when she collaborated with another breakthrough artiste, Iggy Azalea through the song "Fancy" which also got No. 1 on the Billboard Hot 100 chart. In 2014, that’s when things really went ‘boom’ for Charli. She released the single "Boom Clap" which made it to the soundtrack album of the romantic drama movie, "The Fault in Our Stars". The song placed No. 1 at Billboard's U.S. Mainstream Top 40 chart. Not slowing down anytime soon, Charli had just released her second major-label studio album, “Sucker” in December 2014 and will be touring for it too! So all you lucky folks in Singapore, you can catch Charli XCX live when she comes to town for a one-night-concert this 22 April 2015! Before that, let’s get to know more on this breakout star. You began writing and producing music at the age of fourteen and how did you let your music be heard? Yeah. Like many teens of the digital generation, I posted my songs online and was spotted by a music promoter. He was like: “Hey, I like your music, I run parties and this Sunday do you want to come and play at one?” I told my parents, they freaked out. They were like, “This is not good; you want to go to an illegal warehouse rave and hackney wick, this doesn’t sound appropriate.” And I was like, “Well just come!” and they were like, “Okay! Cool!” And yeah, that’s how it started. So your mom is Indian and your dad is Scottish. How much of that mix race heritage had influence on your life growing up? I didn’t really see myself as being different. There was never really anything made of my background, growing up or anything like that. They were kind of very unaware about it until recently. And coming from the generation that I am from, I don’t see it as a shocking thing, but I remembered my parents telling me when they began going out that, it was frowned upon still, to be a mixed race couple. But I think it is great, I think it’s amazing that people from all over the globe could become whatever they liked. Your past hits ‘Fancy’ and latest song ‘Break the rules’ were like some rebellious attitude. Are you setting your own rules? I don’t see myself as a pop star, I actually see myself as an anti-popstar. But I guess now there seems to be a lot of rules like things you can say, things you can’t say and the lies you were meant to tell. I just don’t really have time for that. I mean, I feel like there’s a huge wave of girl power right now. I feel like there are many people who speak about feminism so openly in public, I think that’s a very good thing. I definitely see myself as a feminist. I think there is different kind of perception on what a feminist is, and how a feminist should dress. And I think now more than ever, that those boundaries are really being kind of broken down and I think that’s great. I have people say to me, how could you be a feminist when you dress like that? And I don’t really understand that statement to be honest because I can wear whatever the hell that I want and still believe that men and women should have equal rights. Why do you describe yourself as anti-pop star? Last year, I went to Sweden to work on new music, and ended up recording an album’s worth of what were more or less punk songs. That was me being angry at the world. People were trying to get me to replicate ‘I Love It,’ and I feel like I can’t write songs in a contrived way. I had been going to songwriting sessions with people that I’ve not worked with before, and I was expected to come up with hits on the spot. That’s not something I’m really used to and it was really depressing. So, I banged out some noise, it got out all my aggression, and got me to where I could write pop music again such as “Sucker”, “Gold Coins” and “Breaking Up” which aren’t even the most sneering songs on the album. My punk may sound pop, but my pop is plenty punk.